This movie starts so abruptly that I was a little worried that I had a screwed up copy at first. Then I realized that, nope, they're seriously making me watch the end of the first one again and it's not even handled like most movies do in said situation. I'm not sure if it was a creative decision or just lack of experience from the crew but consider me confuddled. Outside of that, I really enjoyed this movie. In fact, I'd say it's much better than the original film. It's just so damn ballsy and exciting throughout the entire runtime. Just when you think it's going to go one direction, it goes a completely different one. And that alone makes it superior to the original which is so predictable and even a tad boring. I'm not gonna lie, I was really excited when Campbell and the girl from the first actually were back. I figured this was going to take an interesting direction but I certainly didn't expect them to both just die. It kind of makes what they did in the first kind of pointless, but dammit if it wasn't ballsy as hell. 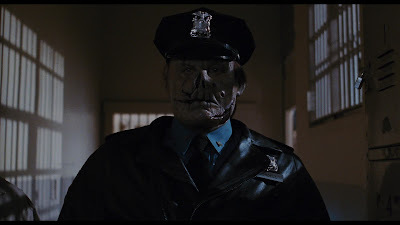 I'm really looking forward to Maniac Cop 3.